Damian has varied business interests spanning several sectors. His “day job” is owner of a management consultancy boutique where he is currently advising a US bank. In addition, he sits on the board of an exciting fintech business – Nivo Solutions and is also part owner and director of RVDL Developments Ltd which is in the process of developing a 120 room hotel. Prior to embarking on his current portfolio Damian worked for three international banks – holding national board positions in 2. His particular areas of strength are growing scale businesses developing and executing quality propositions and building great teams. Damian has been involved in designing and executing many large scale transformational change programmes and is experienced in running scale national and multi-site operations. He has also recently completed the director’s module at Cranfield Business School where he is proud to be part of their alumni. Passionate about education and trying to make a difference in the communities in which we live and do business Damian is thrilled to be appointed as trustee and even more excited about accepting the honour of the chair position from January 2018. He is married to Louise and has two children Lucas and Lauren-Rae. 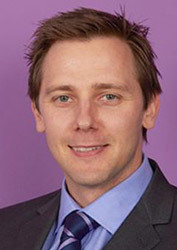 Paul is a practising solicitor specialising in Employment Law working as Legal and HR Director at Green Thumb Limited. 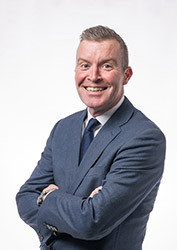 He is also a director of his own law consultancy firm and regularly advises educational establishments including Schools, Colleges and Academies on all employment related matters. 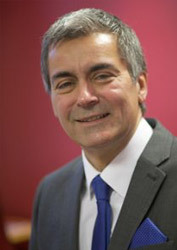 Paul has also advised on contentious and non-contentious pupil and parent matters such as parental complaints, data protection, freedom of information act requests, child protection and safeguarding, abuse claims, Equality Act obligations, Disclosure and Barring Service requirements, parent contract and breach of contract (independent schools). Paul’s main interest is rugby and he has played semi-professional rugby for Sale Sharks 2nd and U21 teams, Waterloo FC, Manchester Rugby Club, Altrincham Kersal and Cheshire, winning the County Championship Shield at Twickenham. Paul is also a keen golfer. Tarun was appointed as the first NLE in the North West and since 2005 has led on many significant School to School support commissions with considerable success. Prior to becoming a Headteacher, Tarun worked in a brand new school in Warrington. As Deputy Headteacher, he helped to shape the school from inception to ‘Outstanding’. Whilst working as Headteacher at Ashton on Mersey School, Tarun supported the development of the National College and spent some time in New Zealand researching leadership and training. He has also worked as an advisor to the DfE, notably being a member of the Steer Committee, developing the Behaviour and Attendance Strategy. He presented to the Prime Minister on the same. As an NLE Tarun has had a significant influence on a number of (secondary and primary) schools always working towards securing better outcomes for all children. He was a key driver in the early Beacon School movement that led to Ashton on Mersey School forming a hard federation with Broadoak School. Tarun led Parrs Wood High School in Manchester out of ‘Special Measures’ and has since carried out further commissions to either support or to sponsor schools. Soon after he formed The Dean Trust (MAT) following a request from the DfE. 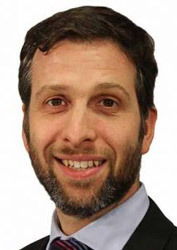 As CEO of The Dean Trust, Tarun leads several teams of people within the Trust from the Executive Team to teams of specialist professionals, with the sole aim of transforming the lives of all children both within our Trust schools as well as externally in schools that are being supported through commissions. Tarun has developed a wide network of connections from the world of business and education to help to support his own organisation, but as importantly many other schools and academies. As Chairman of the FA and Premier League Facilities panel, Tarun helps to distribute £30m each year to schools and clubs across the country and has developed a key insight into the workings across several different local authorities. Tarun also supports the work of the Manchester United Foundation as one of its Trustees, an organisation dedicated to community provision in sport, education and employability. Tarun is dedicated to improving educational outcomes in some of the most deprived and under-performing areas of the country. As a member of the Knowsley Place Board and more recently, working with the Knowsley Education Commission, Tarun is key in helping to drive forwards the regeneration of Knowsley and providing all children in the area the opportunity to access high standards of education and raising attainment for all. 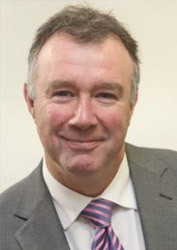 John Shiels has been the Chief Executive of the Manchester United Foundation since January 2008. In his role, he has created the Foundation’s strategy to use the power of the Manchester United brand and the appeal of football to change the lives of young people in Manchester, the UK and around the world. Passionate about Education and the development of children and young people, John a trained teacher, with a Masters in Educational Management, uses his position to leverage collaborative working amongst multi agencies to ensure that the young people of Greater Manchester receive opportunities which usually they wouldn’t receive. A student of leadership, he has had the opportunity to transfer much of his knowledge (gained form working with and learning from some of the best sports and commercial leaders in the world) into the programmes that Manchester United Foundation now deliver. Forever learning, forever looking at creative and innovative approaches to engage and enhance delivery into the young people he connects with John enjoys and embraces the opportunity to continue his passion with the work of The Dean Trust where he sits as a Trustee. Jonathan became Managing Director of UKFast in April 2012, when Lawrence Jones took the role of CEO. Responsible for the day-to-day running of the business, he works with the directorship and senior management team, focusing on clients and the team, and is heavily involved in education, training, recruitment and corporate relations. Jonathan has transformed the standard expected of training and education in the private sector. He has supported the development of an award winning and industry-leading apprenticeship and education programme and he is on the project team to build and run our own digitally focused free school in partnership with The Dean Trust http://ukfast-deantrust.school/. Jonathan is also in the process of joining the board of The Dean Trust. Jonathan believes that in order to improve digital skills in the UK there needs to be significant investment in the talent of the future and with this in mind he developed a word class Training and Education team that helped UKFast’s Linux team to become one of the most qualified in the UK with the LPI. Anna is CEO and a Corporate Partner at gunnercooke llp, one of the UK’s fastest growing challenger law firms set up in 2010 with offices in London and Manchester. Anna took over the role of CEO in September 2015. 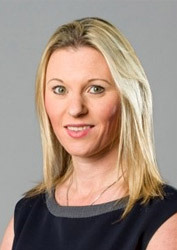 She is also known for her work as a corporate lawyer, advising on both M&A and private equity transactions, in addition to gaining extensive in-house experience at £1.2 billion turnover Enterprise plc (now Amey), where she advised on the groups acquisitions and disposals for a number of years. Anna believes in providing brilliant client service, acting as a trusted advisor, she is passionate about innovation and creating a giving and philanthropic culture. Anna is delighted to become a Trustee at the Dean Trust. Anna also holds non-executive director roles at Mosscare St Vincent’s Housing Association and Persona Care and Support where she provides support on corporate governance, risk, integration, change management, service innovation and strategic and business growth support. Anna is married to Richard and has two young children and outside of work Anna enjoys spending time with her family and friends. Walks in the countryside, watching equestrian events and holidays with the family.